Maybe you’re looking to celebrate an engagement or some big news, maybe you’re looking to unwind from your big day, or maybe you’re looking to celebrate an anniversary. Whatever the celebration is, our Double Champagne Boxes are the perfect way to celebrate! 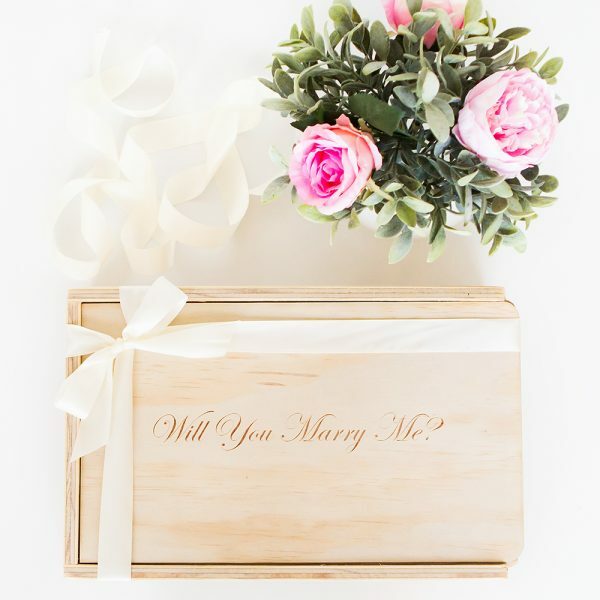 Choose the box only or a filled box to show that someone special how much you care. 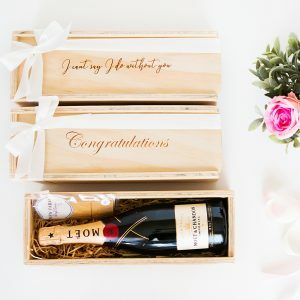 • Our champagne wooden Gift Box layered with wood wool and engraved with your selected wording, wrapped in a double sided silk ribbon to finish. 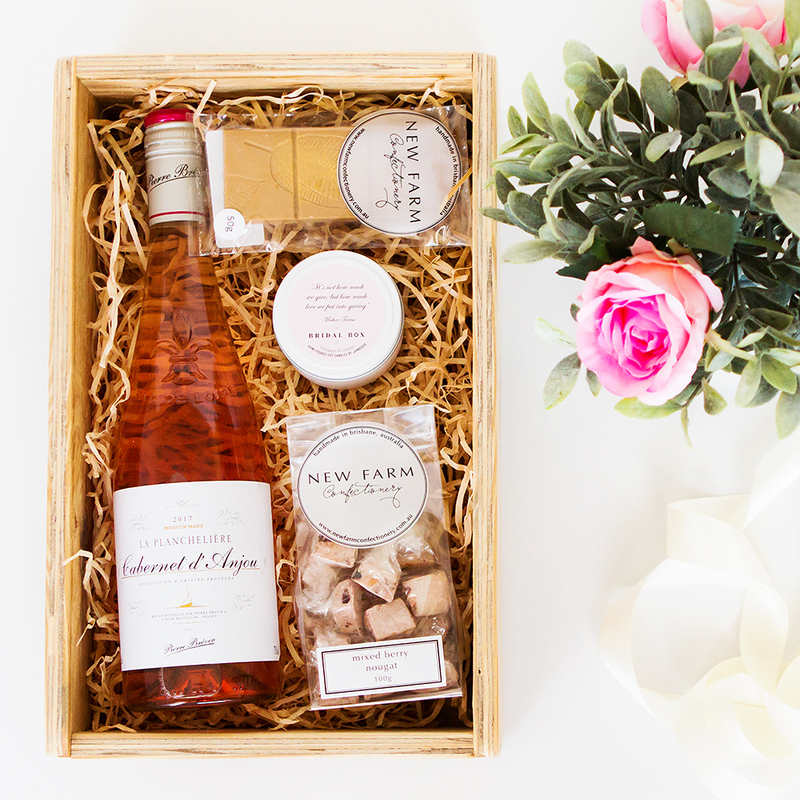 NB: If you would like to swap any chocolate items for the other New Farm Confectionery options listed under our Gift Box Items, please make sure that you add a note to the order. Add your custom wording in the field below showing required words per line. 3 lines maximum. NOTE: Avoid delays and ensure to add the correct number of boxes in the quantity field below before clicking “ADD TO CART”. Please be mindful of the amount of words chosen as they have to fit on a box and be able to be read.